No matter how affectionate a pet can be, bites and scratches are always a possibility when you’re dealing with animals. Most often, a good cleaning and perhaps antibiotic ointment takes care of the wound but sometimes, these bites and scratches can result in a bacterial infection. Occasionally, these infections can trigger sepsis. 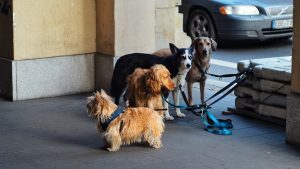 According to the Centers of Disease Control (CDC), there are approximately 4.7 million dog bites in the United States over the course of a year and almost 800,000 people need medical care as a result of a bite. There are no statistics on other types of animal bites or scratches. An animal bite that breaks your skin exposes you to multiple bacteria, both from bacteria that may be on your skin and bacteria in the animal’s mouth. If the bite barely breaks the skin, you have a better chance of cleaning the wound well and preventing infection, but deep bites are puncture wounds and bacteria can be driven in deeply with these types of bites. Dog bites are the most common ones related to pets, but cat bites cause 10% to 20% of animal bites in the U.S. At first, they may not appear to cause as much damage as dog bites, but their smaller teeth and deep punctures can make it hard to clean a wound out properly. Many households, especially with children, have pets like guinea pigs and hamsters. These animals can also bite and cause infections. If you have been bitten by a dog, it’s important to check with the owner to ensure that the dog’s vaccinations are up-to-date. If they are not, see your doctor and explain which vaccinations the dog did not have. If you don’t know the dog that bit you, this should be reported to animal control in your area. All scratches, even human ones, can become infected. Signs of an infected scratch are similar to that of a bite. If you see any signs of infection, see your doctor as soon as possible to see if you need antibiotics.